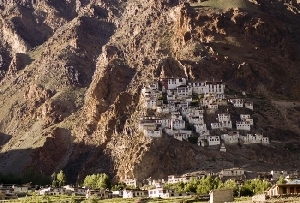 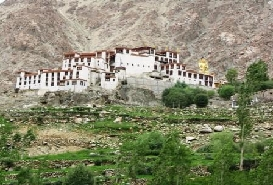 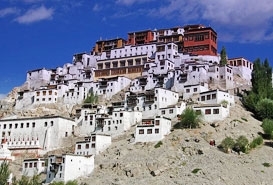 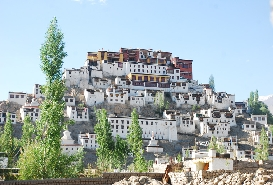 Situated 15 kms from the town of Leh on a hillock, the Shey Monastery is one of the most revered Buddhist learning centers in the valley of Ladakh. 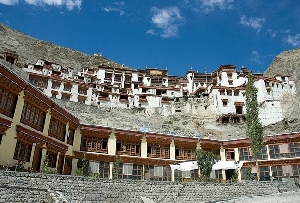 The renowned monastery was built in the mid of the 17th century by King Deldon Namgyal in the memory of his late father Singay Namgyal. 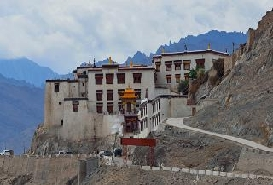 Being served as a royal residence for a long time, the Shey Monastery still holds the glimpses of the bygone rule. 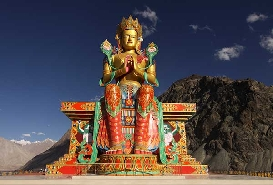 Once a seat of the kings of Ladakh, the Shey monastery today is noted for its giant gilded copper statue of Shakyamuni Buddha. 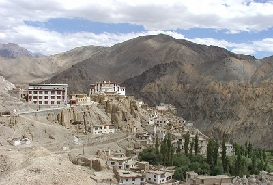 Besides housing a large Buddha statue in its vicinity, the monastery also boasts of two Tantric shrines as well, which consist of a vast gallery of rock arts. 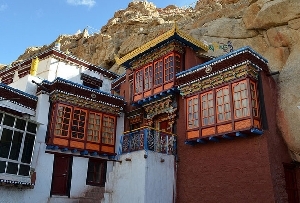 As one make his way to the different sections of Shey monastery, several Tibetan artworks like wall paintings, murals of Lord Buddha and manuscripts are likely to captivate his imagination. 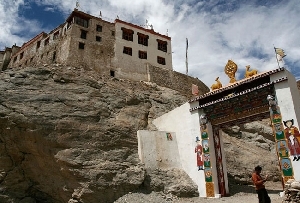 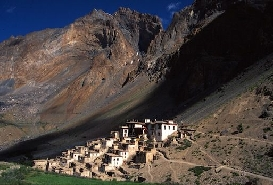 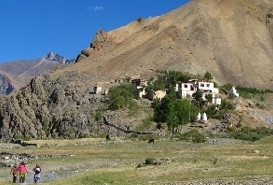 One of the best time to visit the Shey monastery is during its festivals. 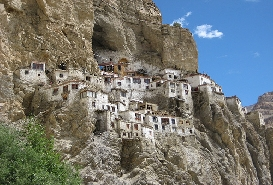 The renowned monastery celebrates two festivals every year. 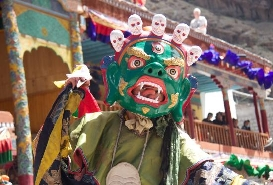 One is the Metuka festival, which takes place in July and the other one is Shey Shublas in August.